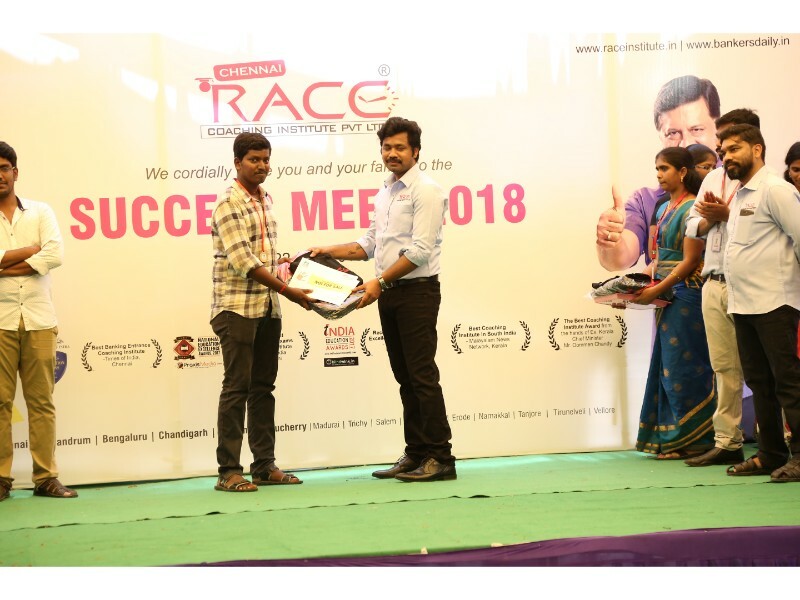 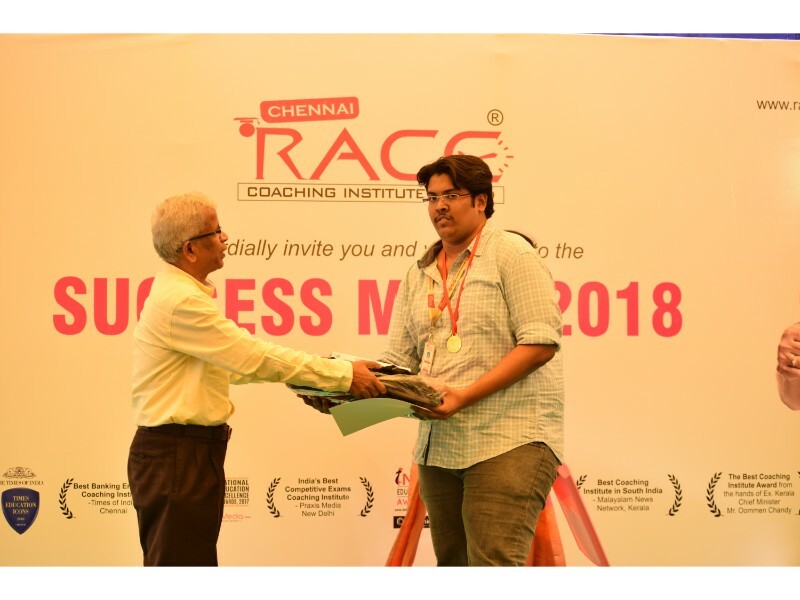 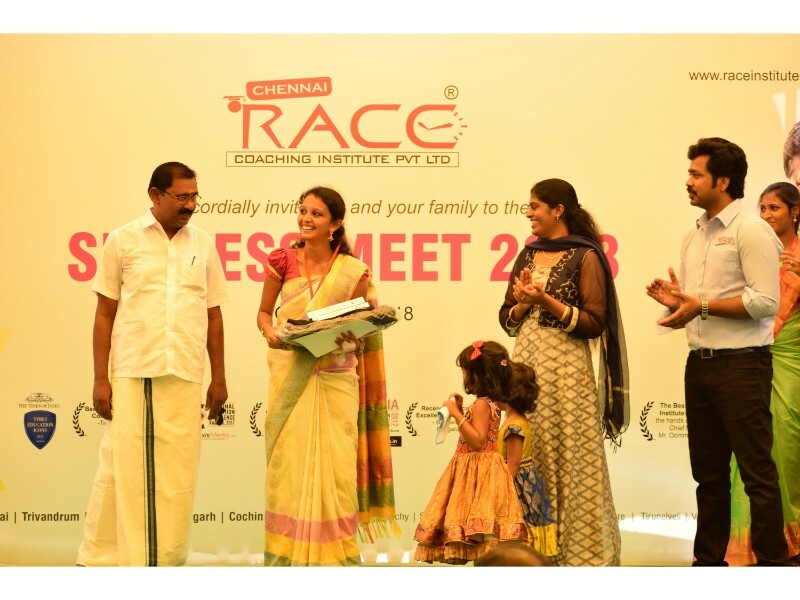 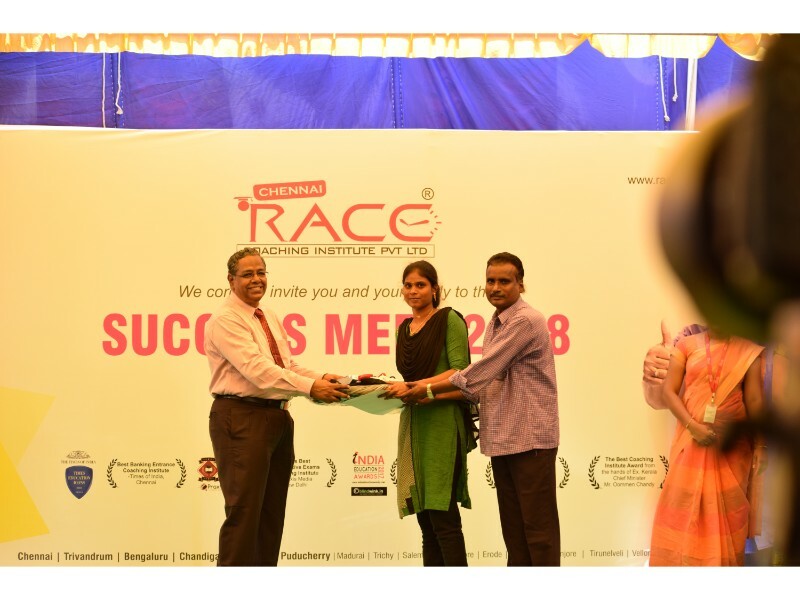 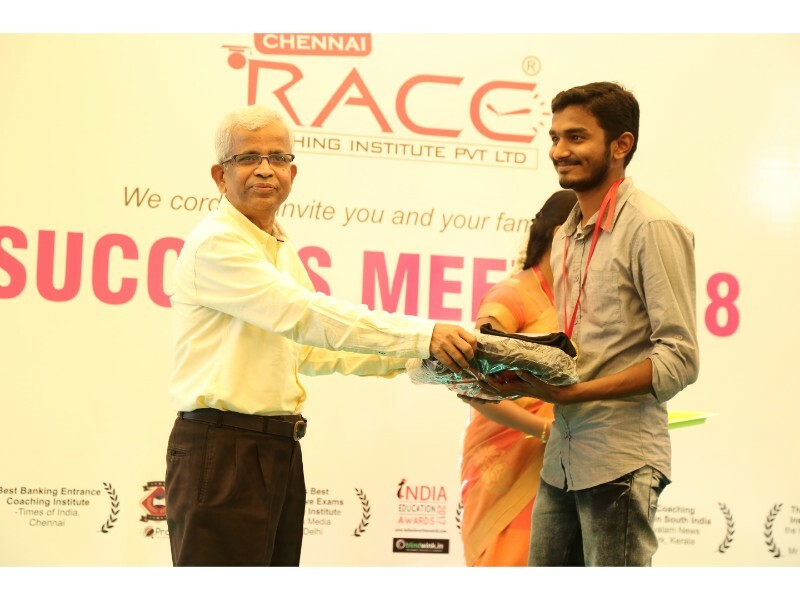 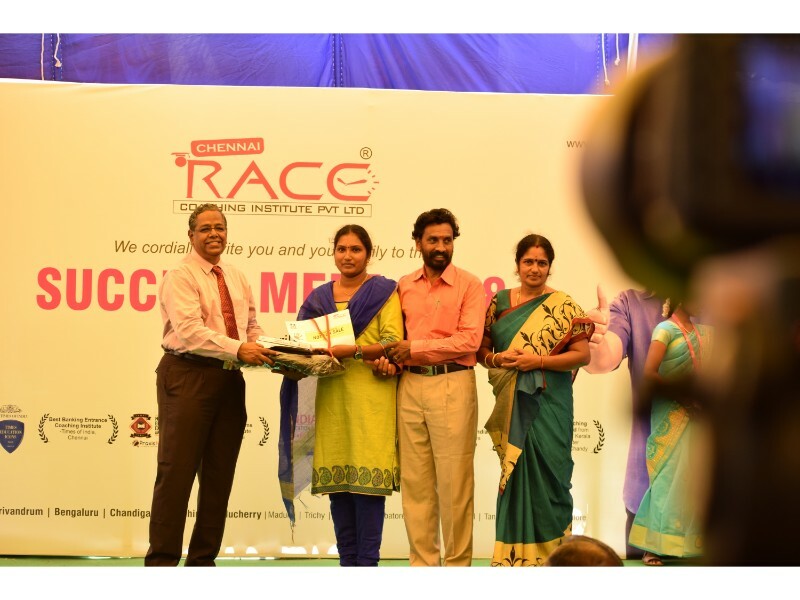 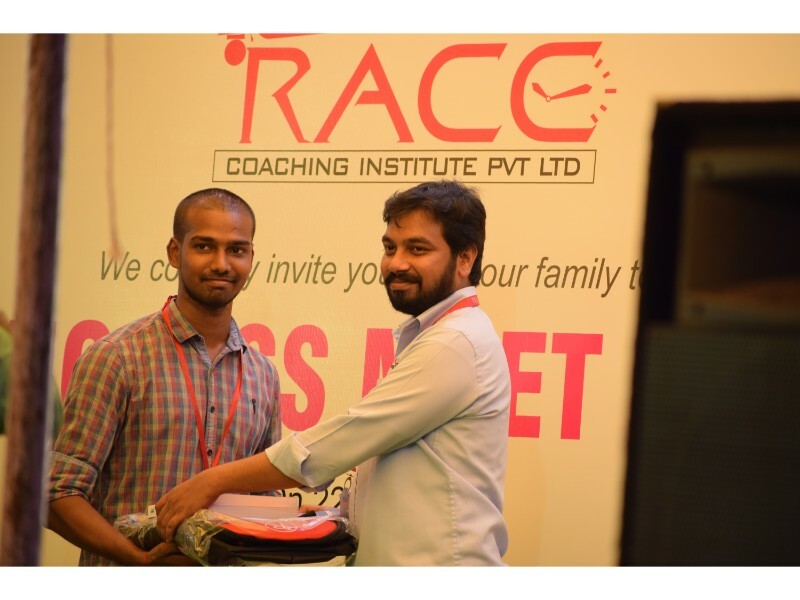 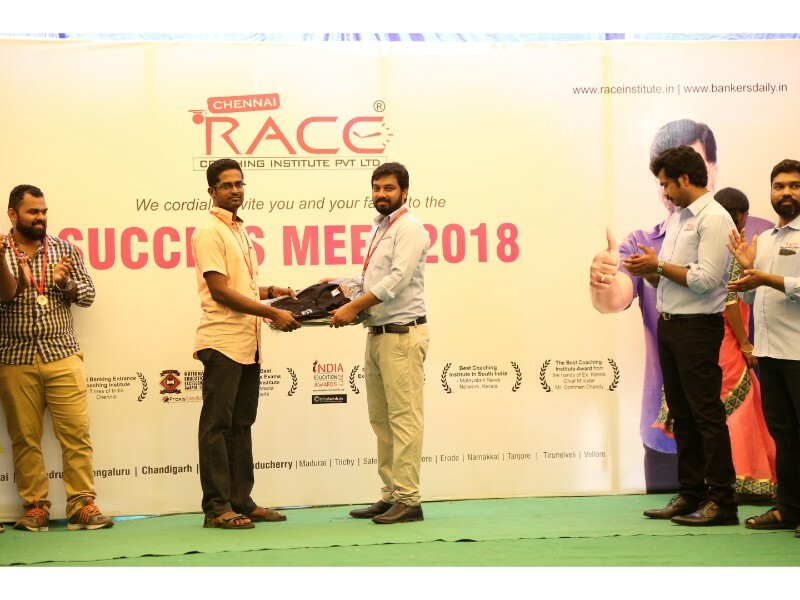 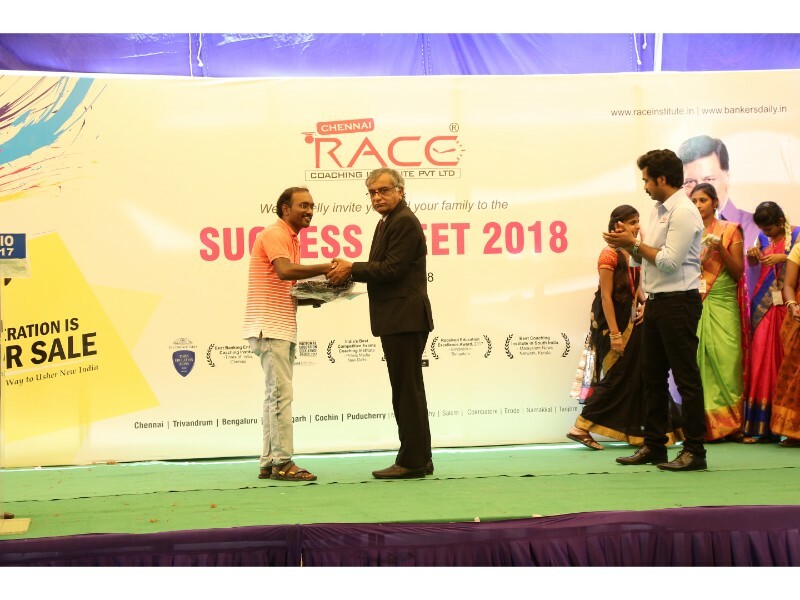 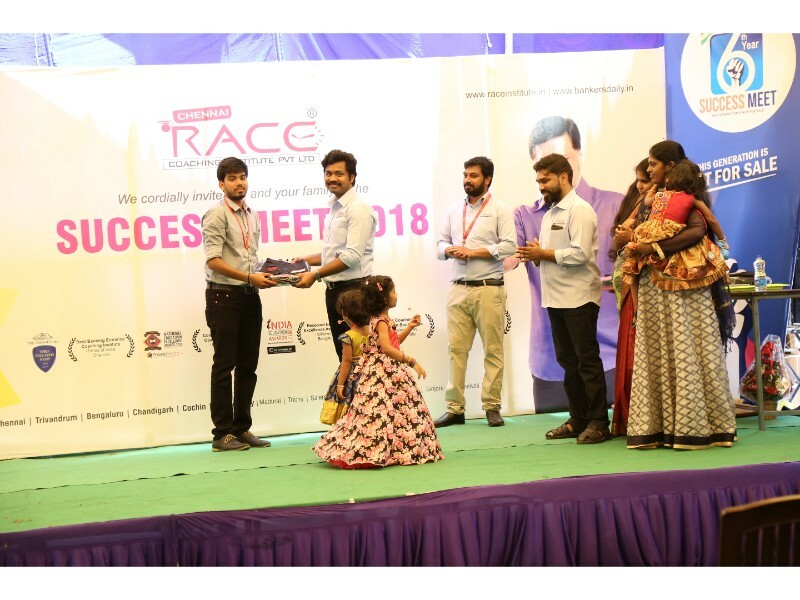 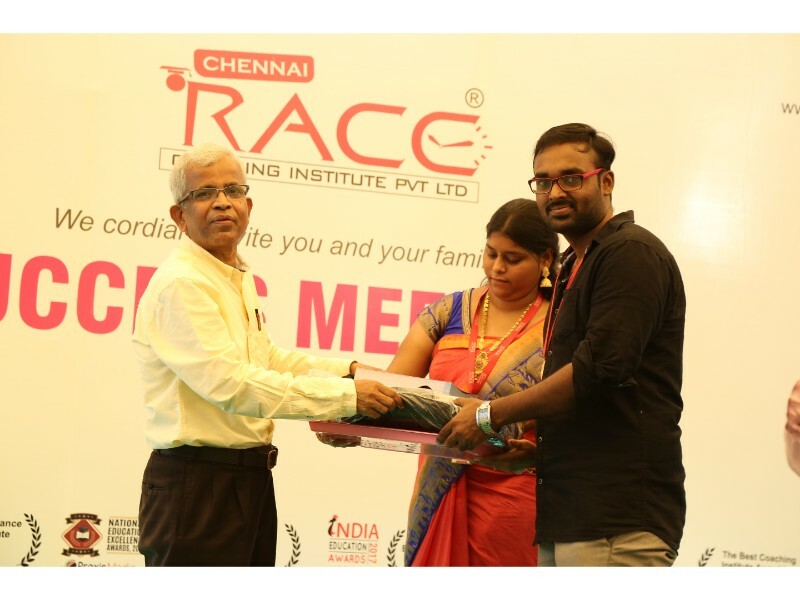 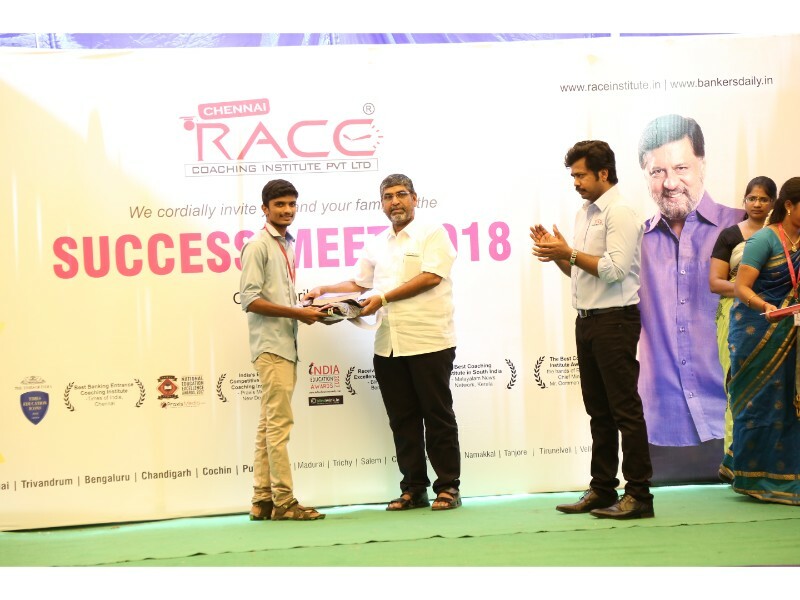 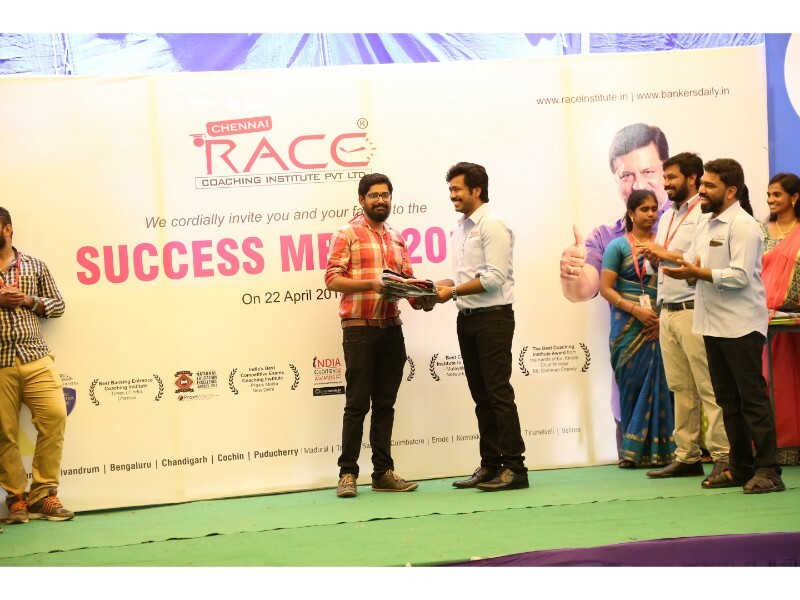 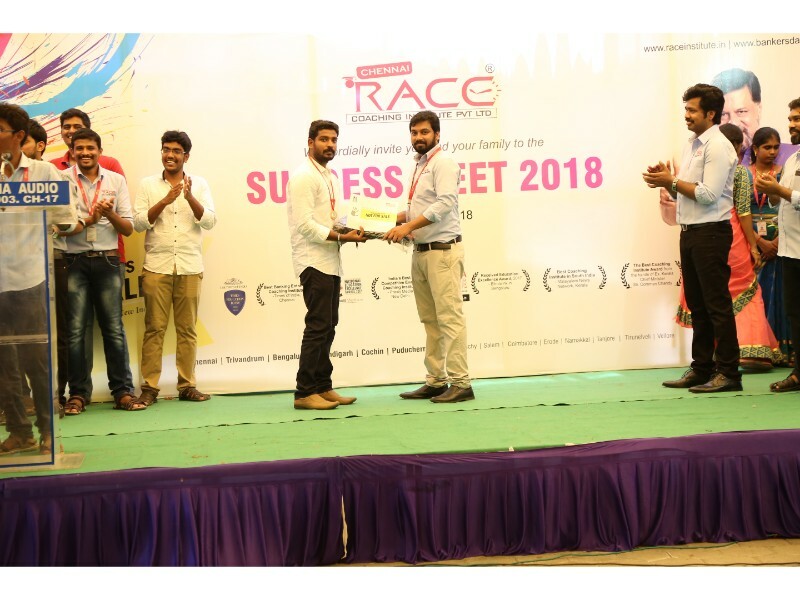 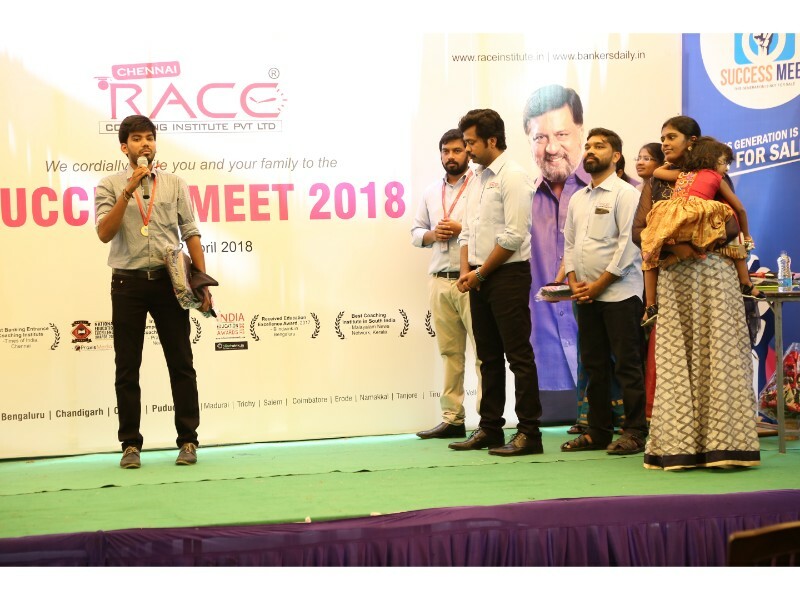 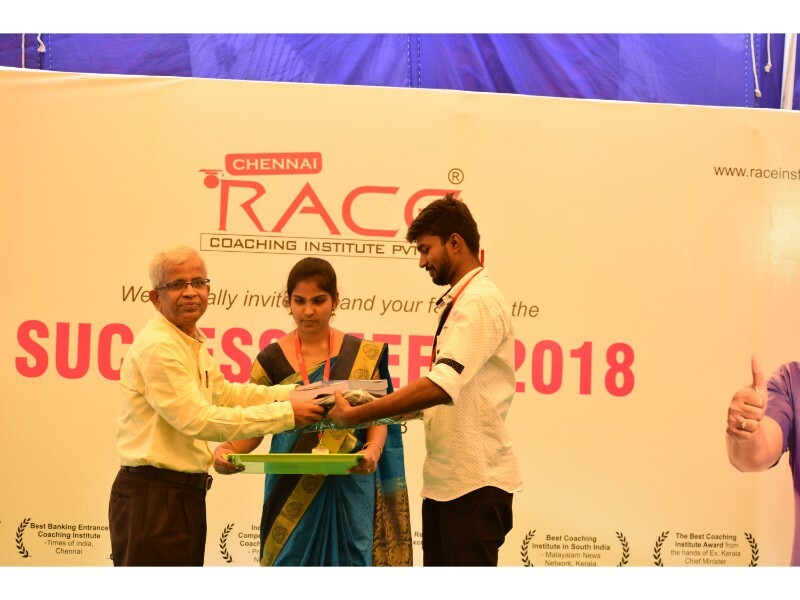 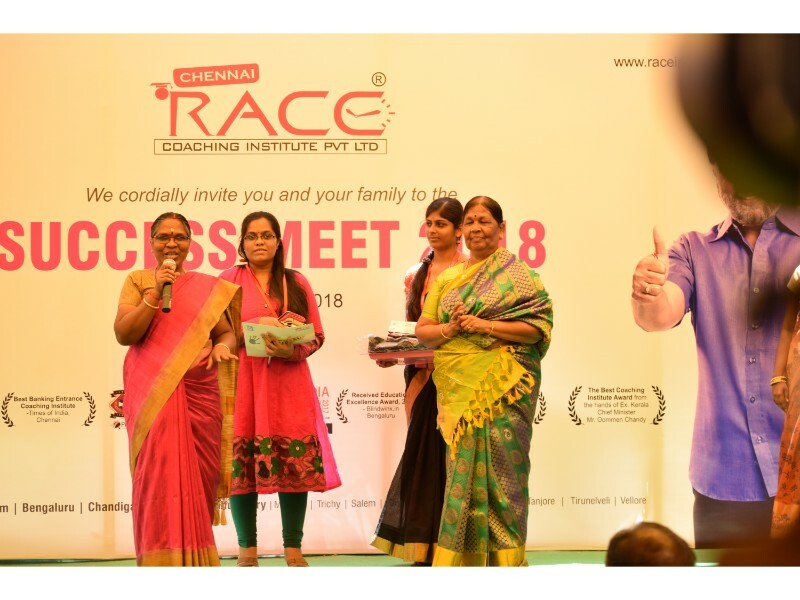 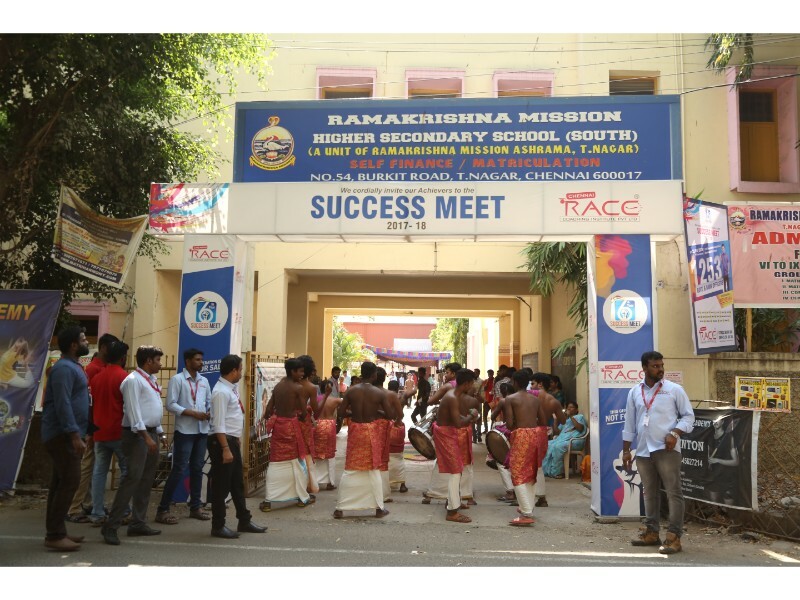 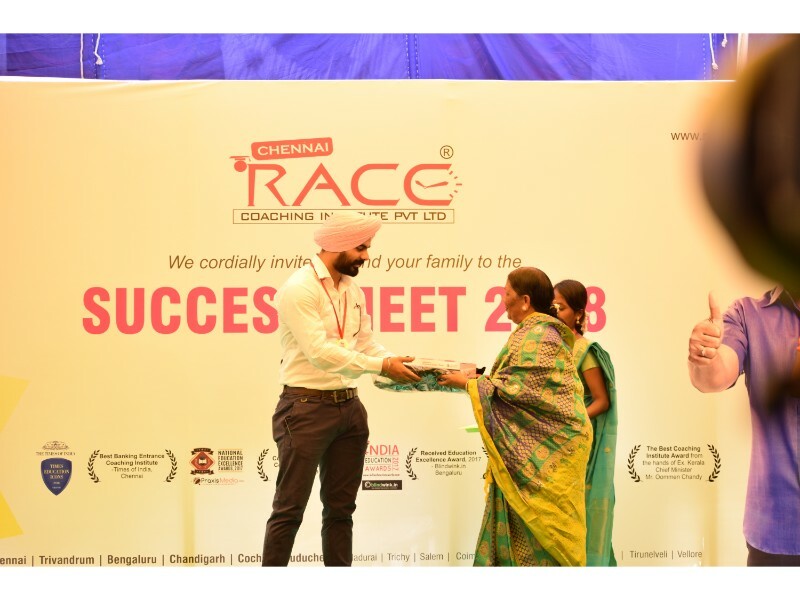 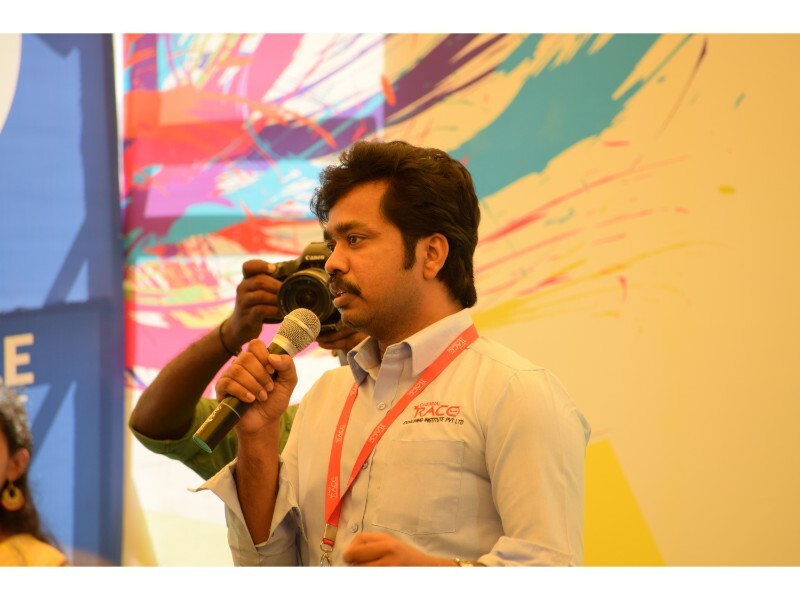 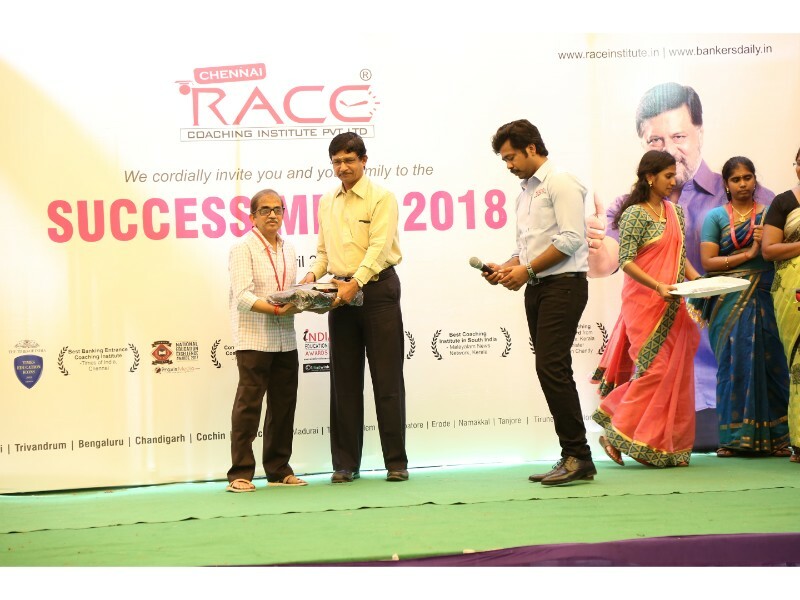 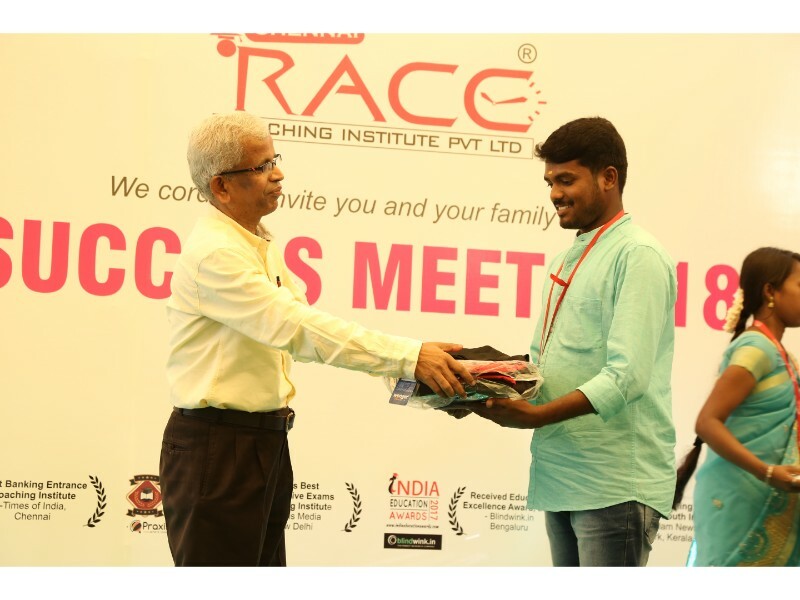 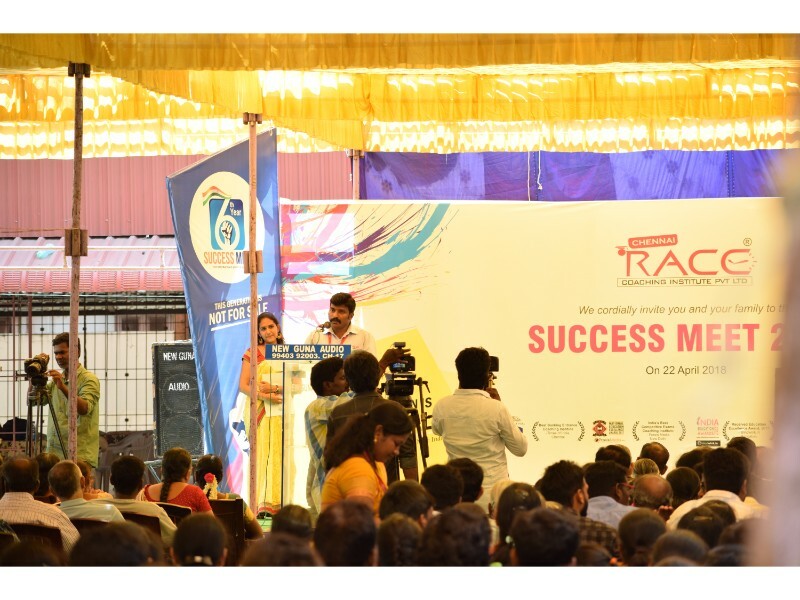 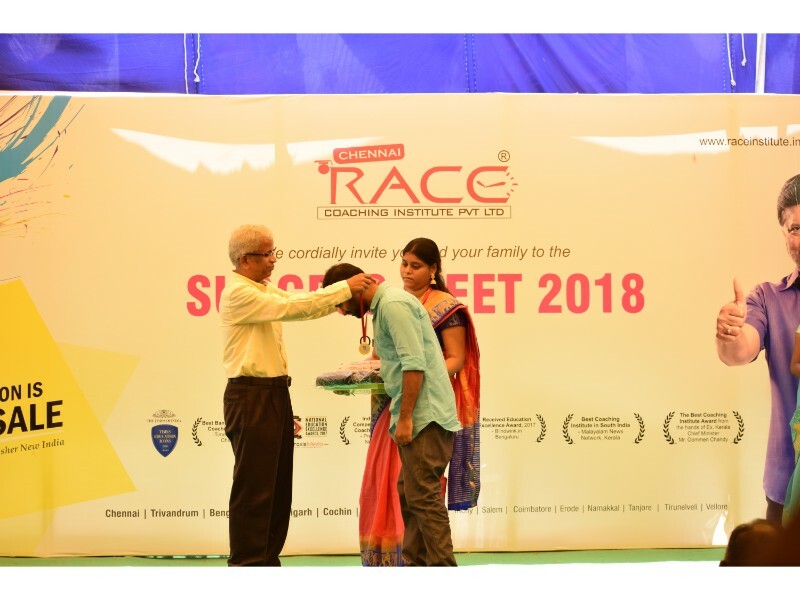 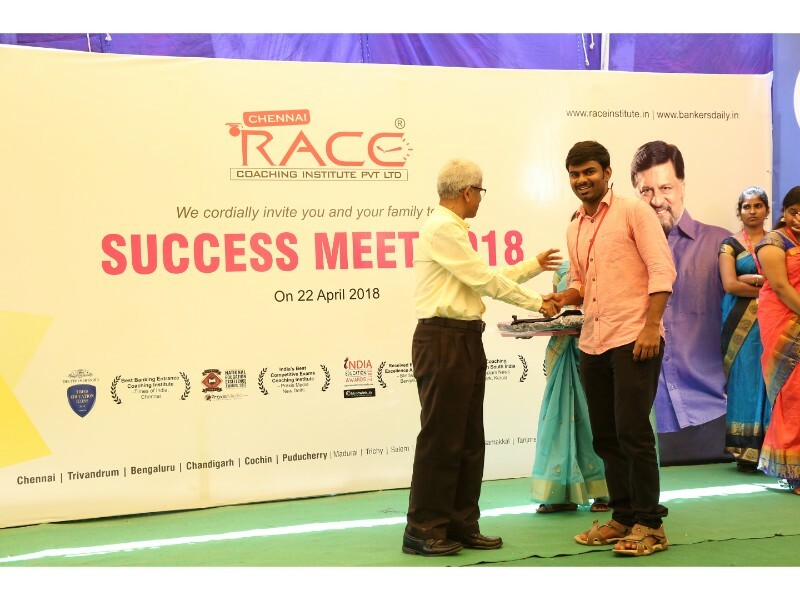 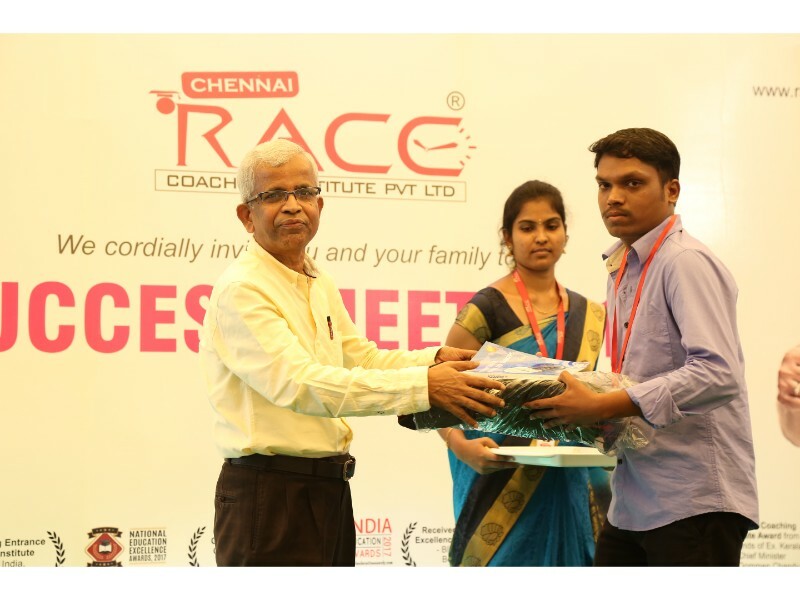 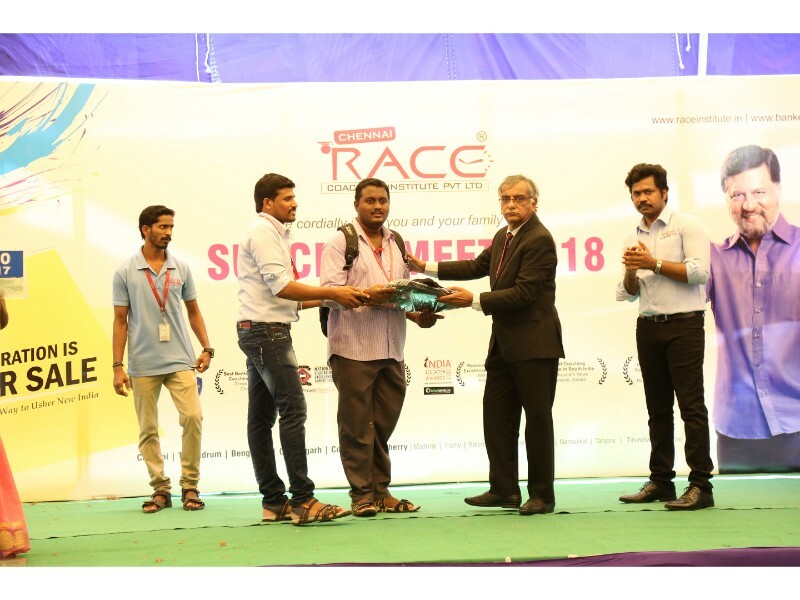 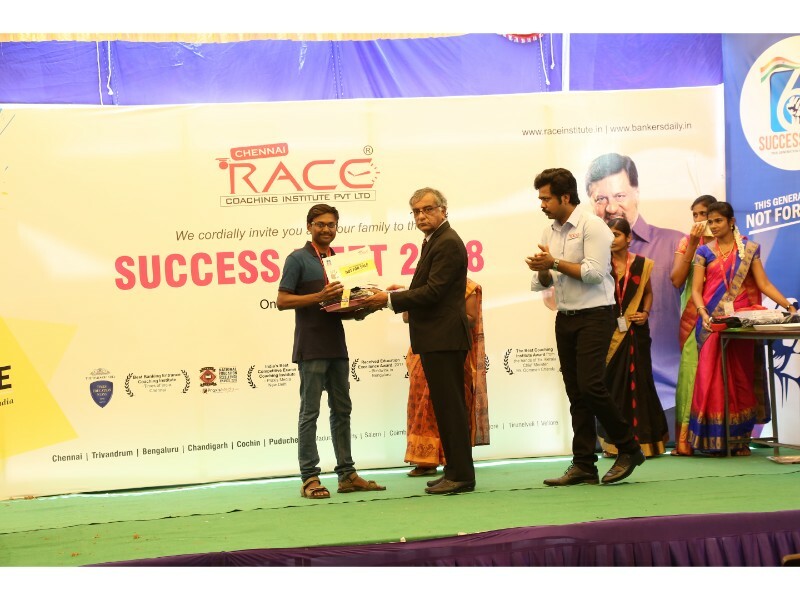 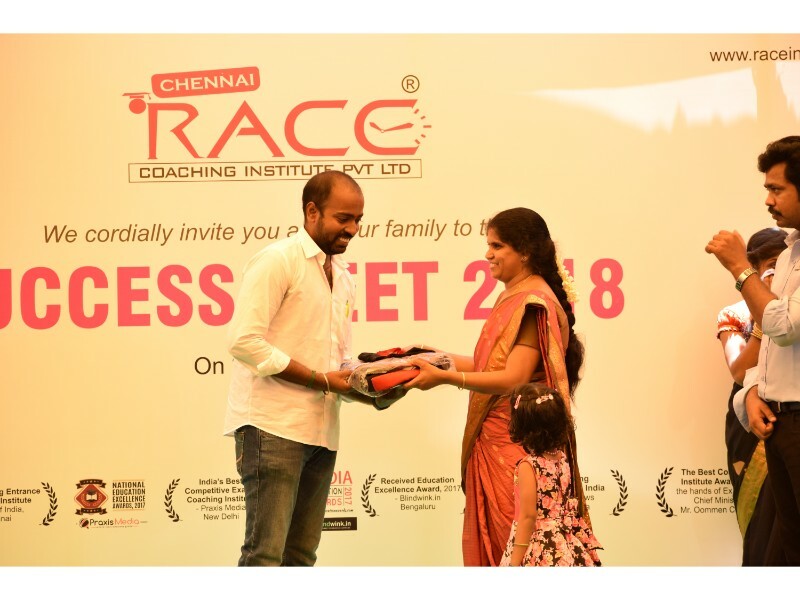 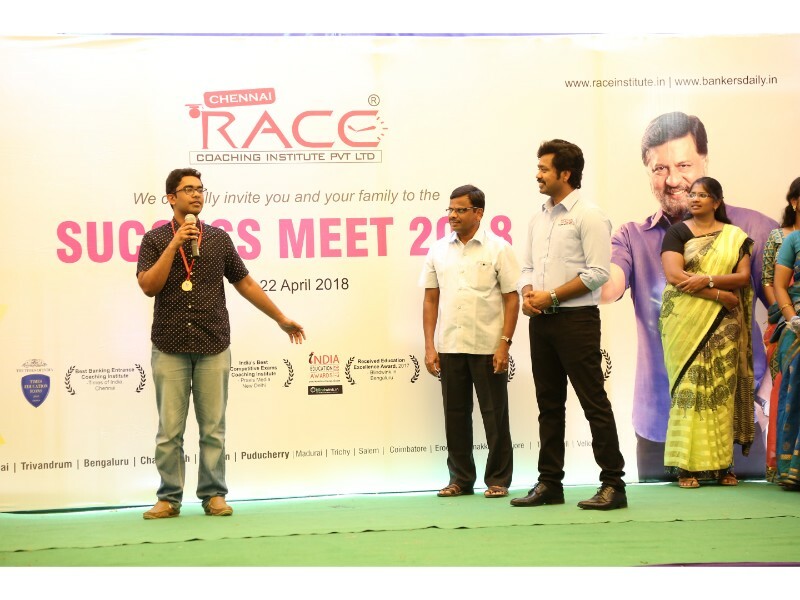 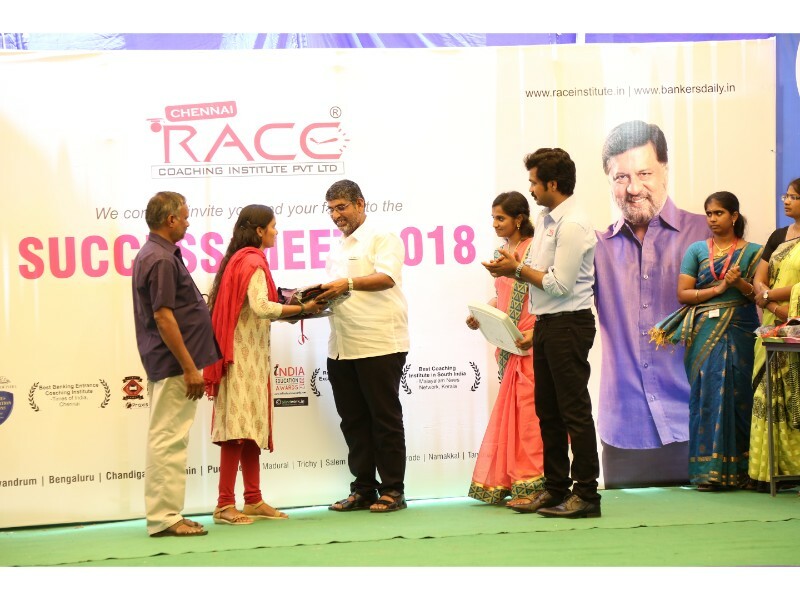 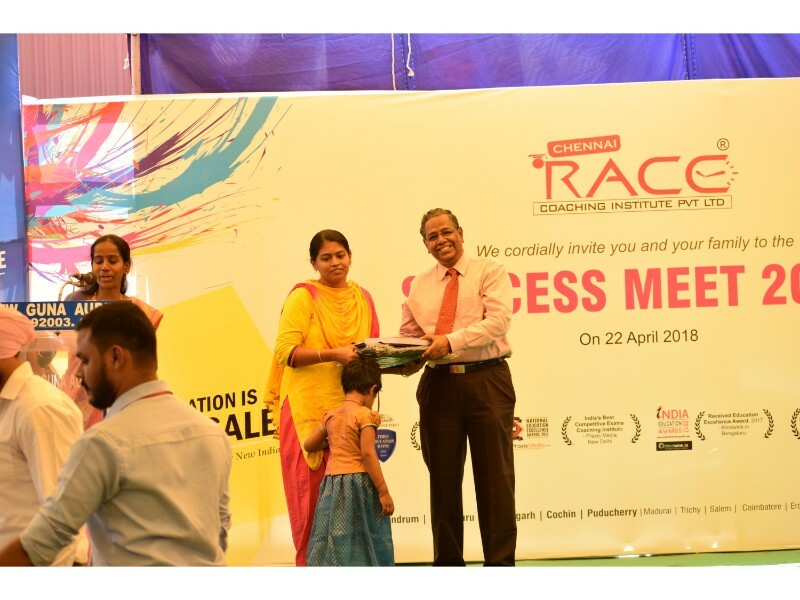 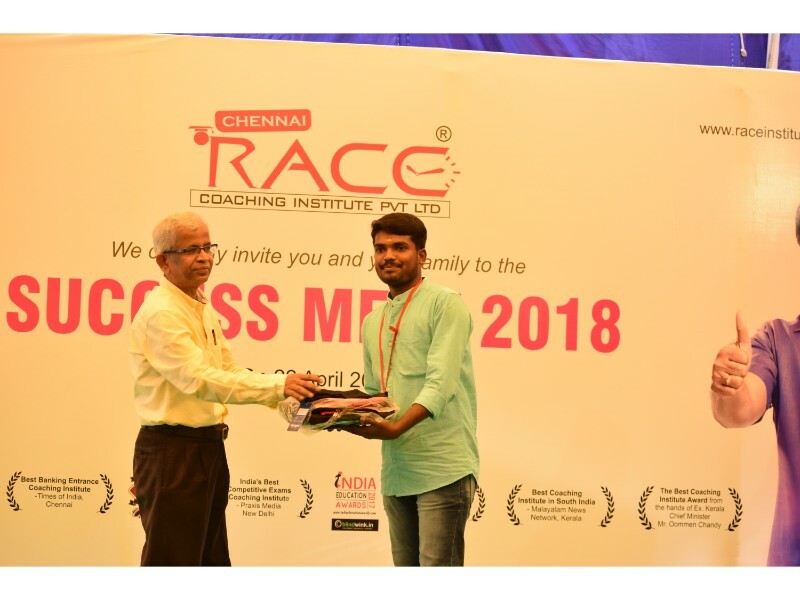 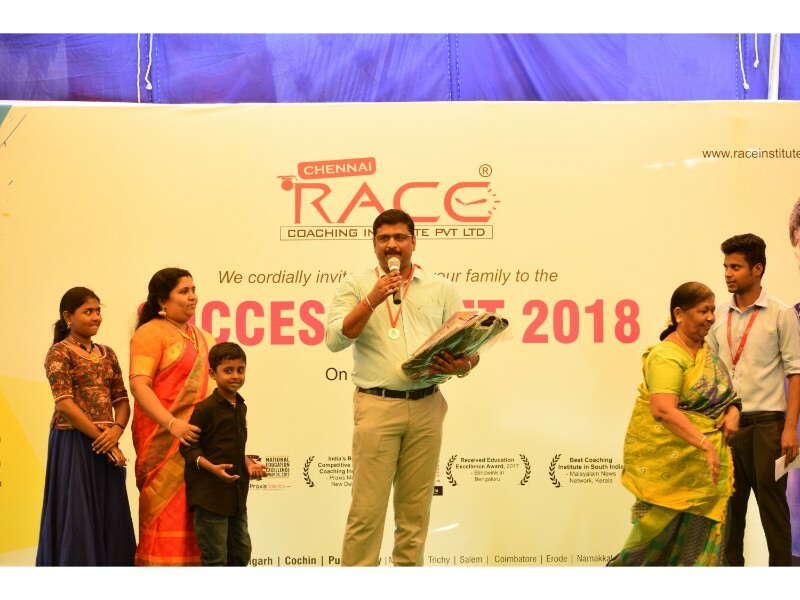 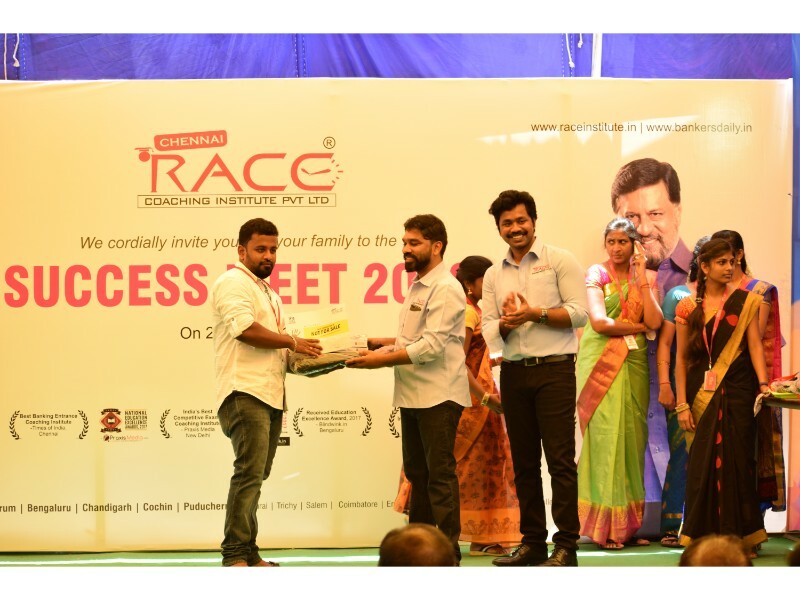 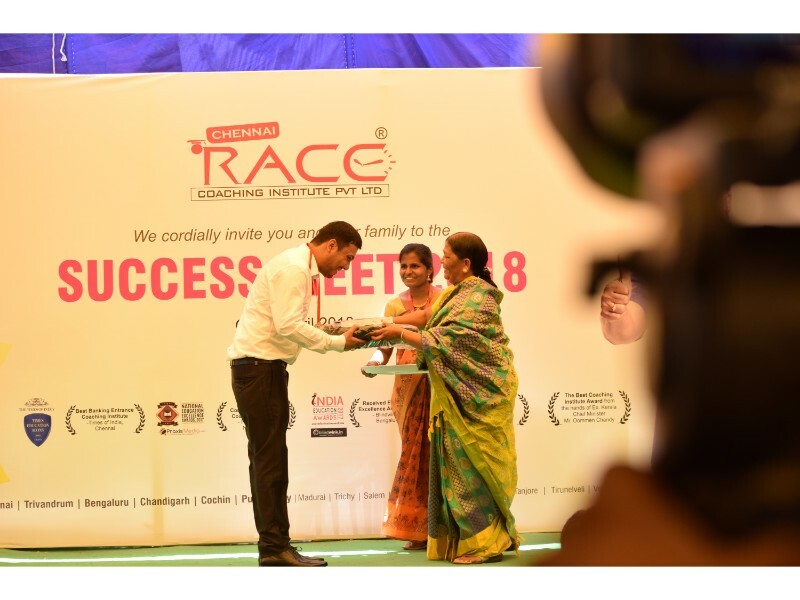 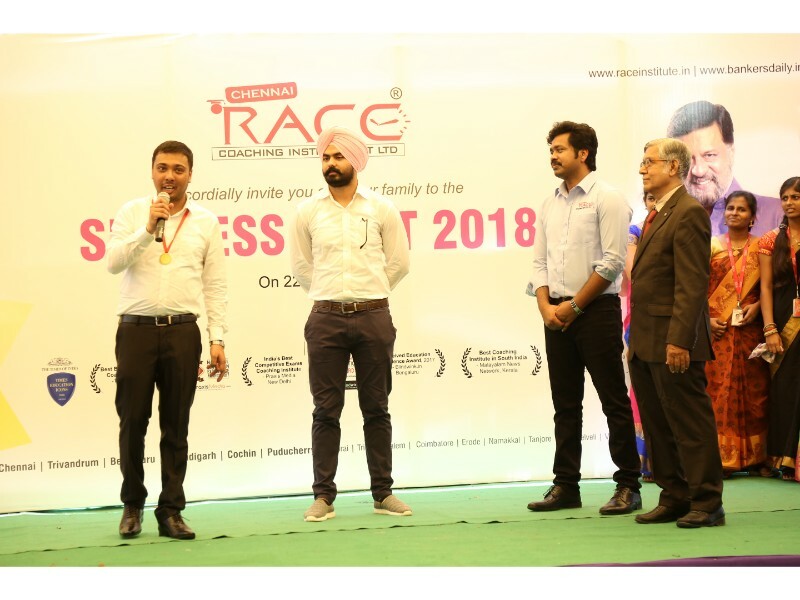 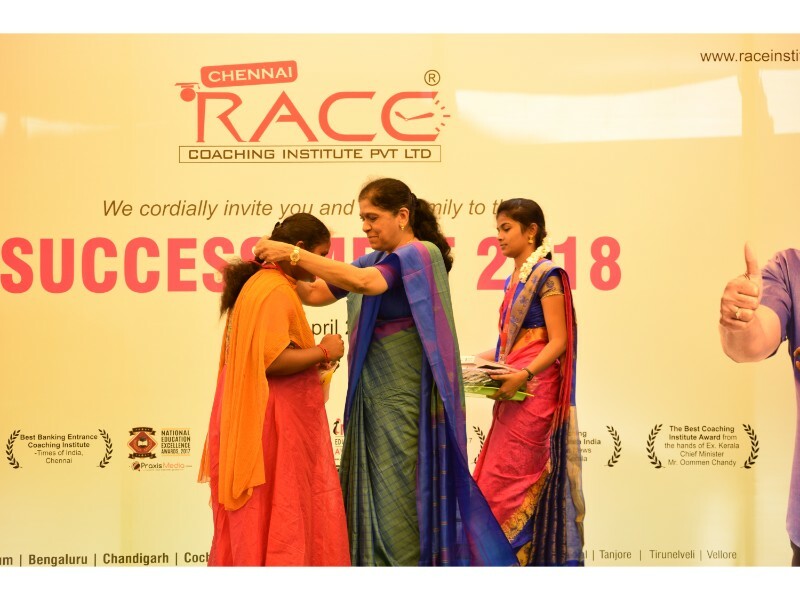 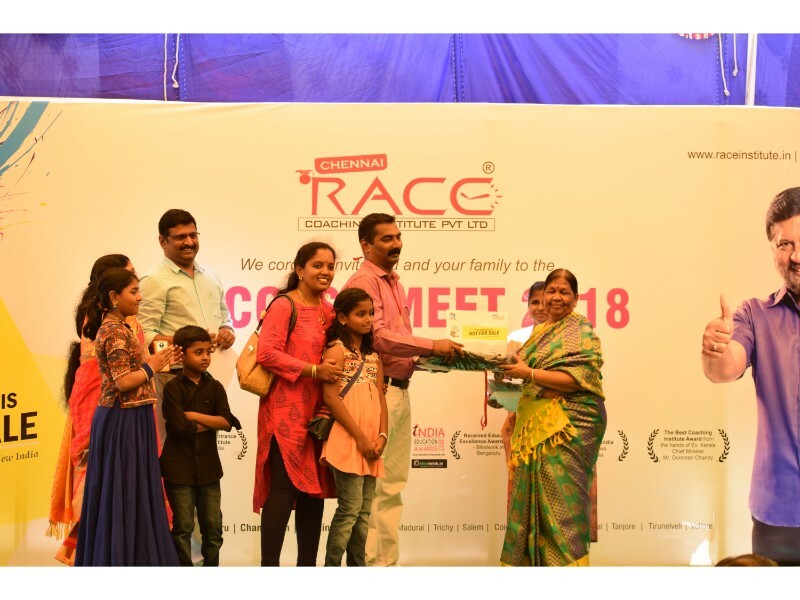 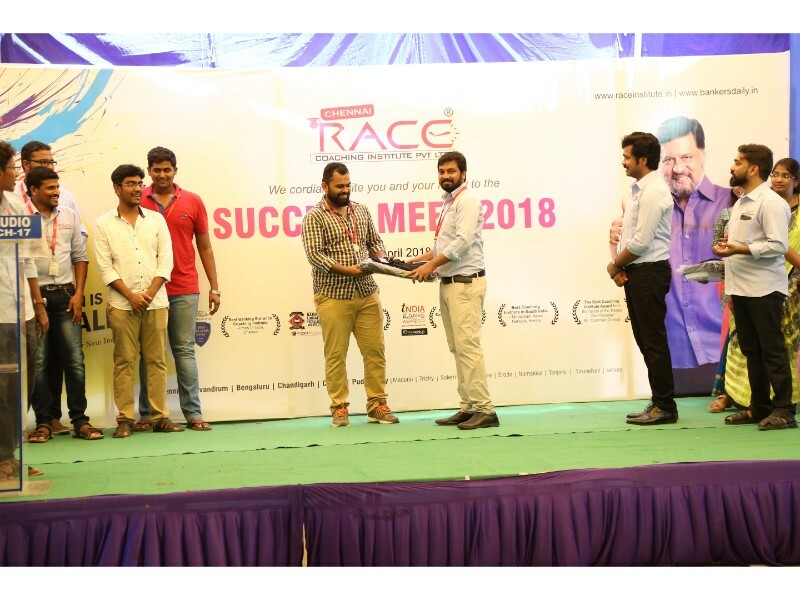 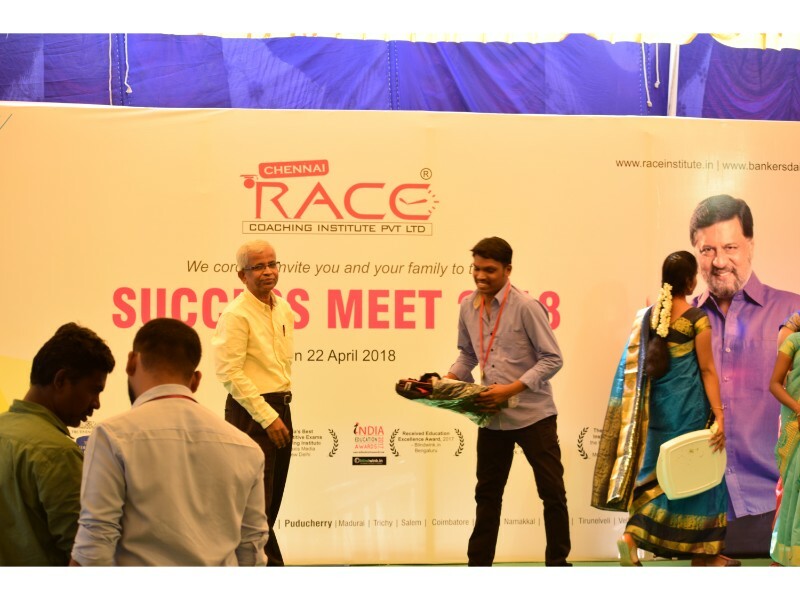 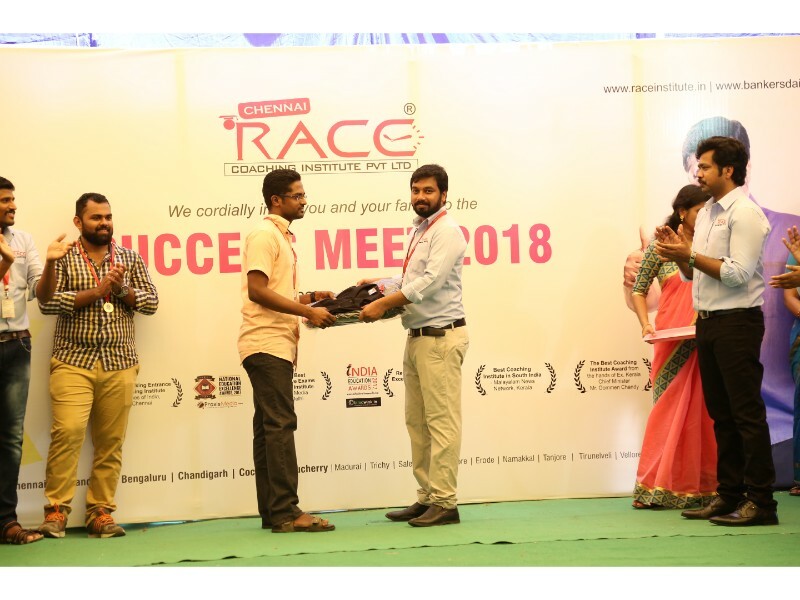 Race Coaching Institute Success Meet 2018. 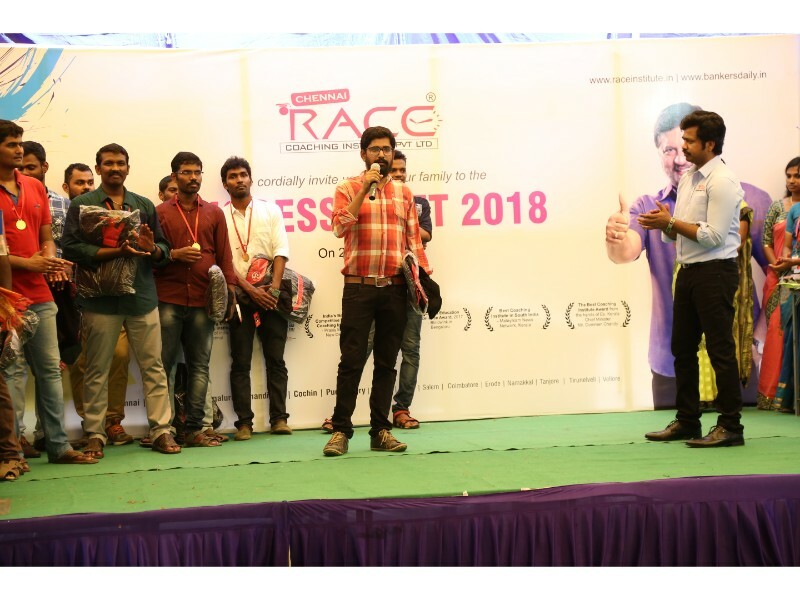 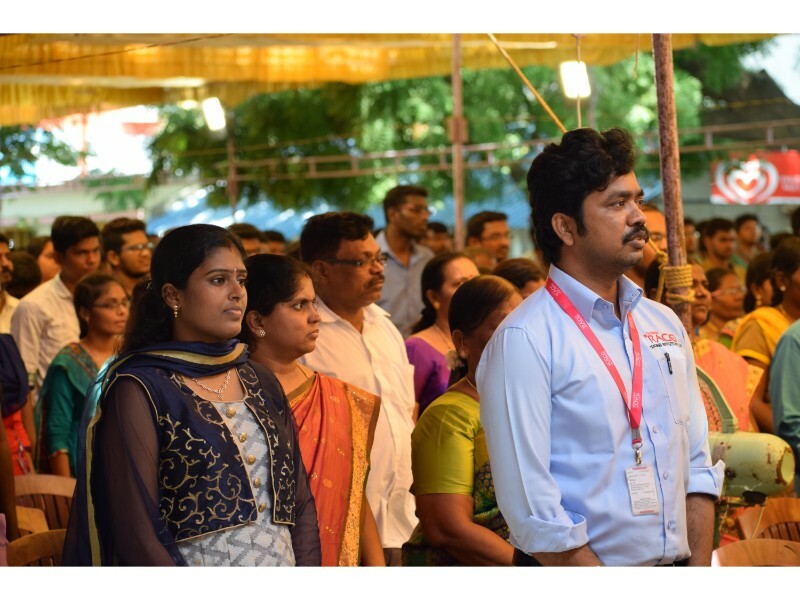 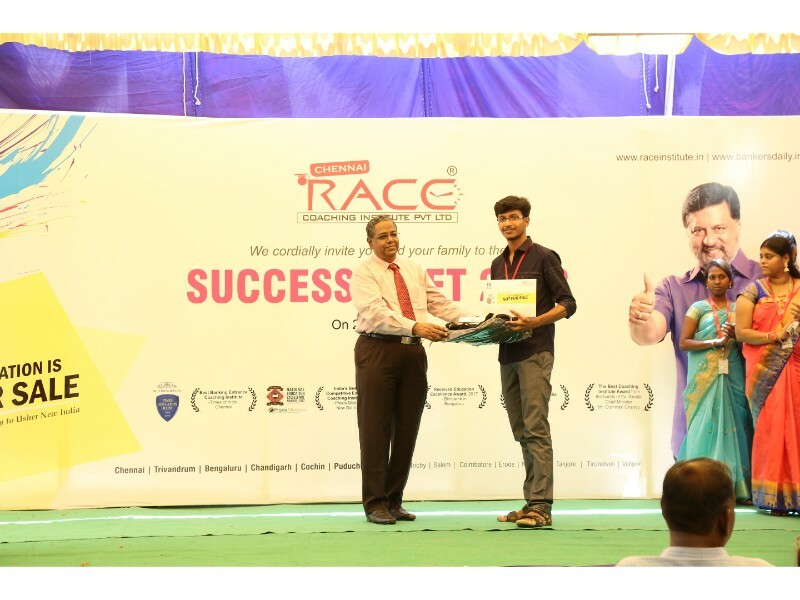 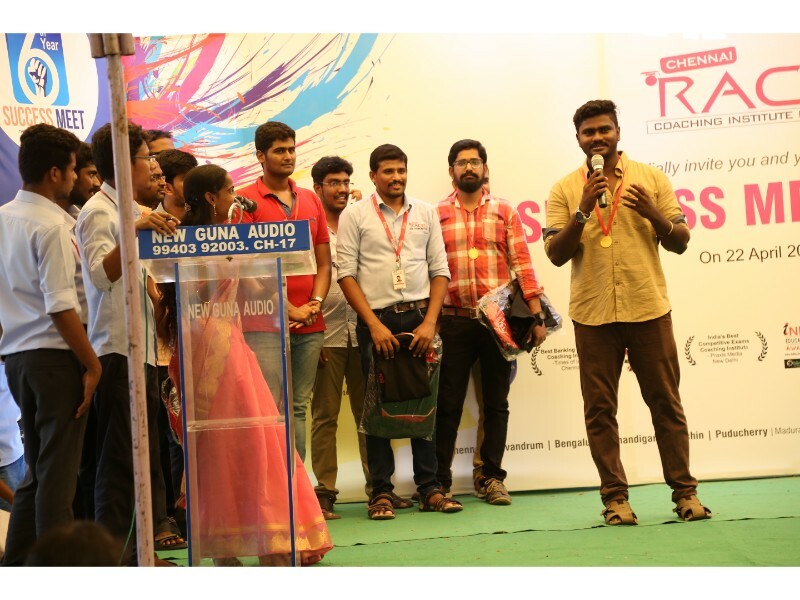 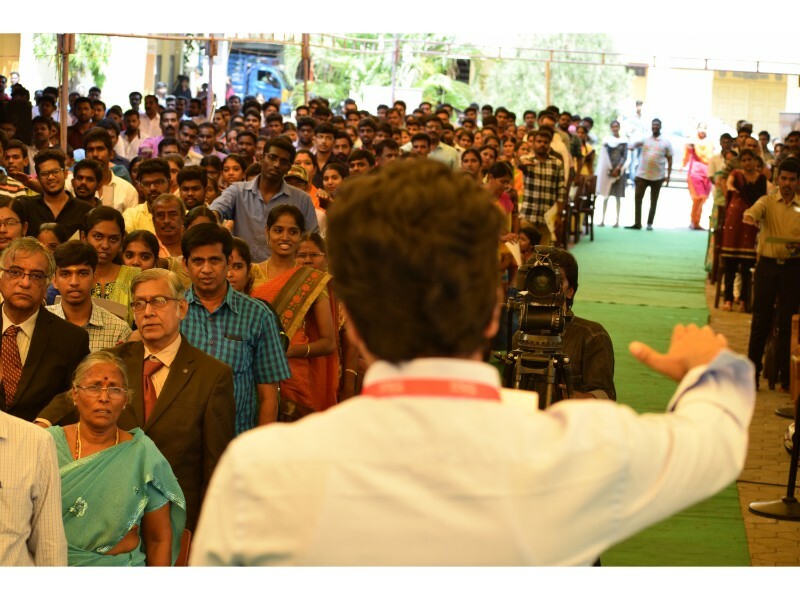 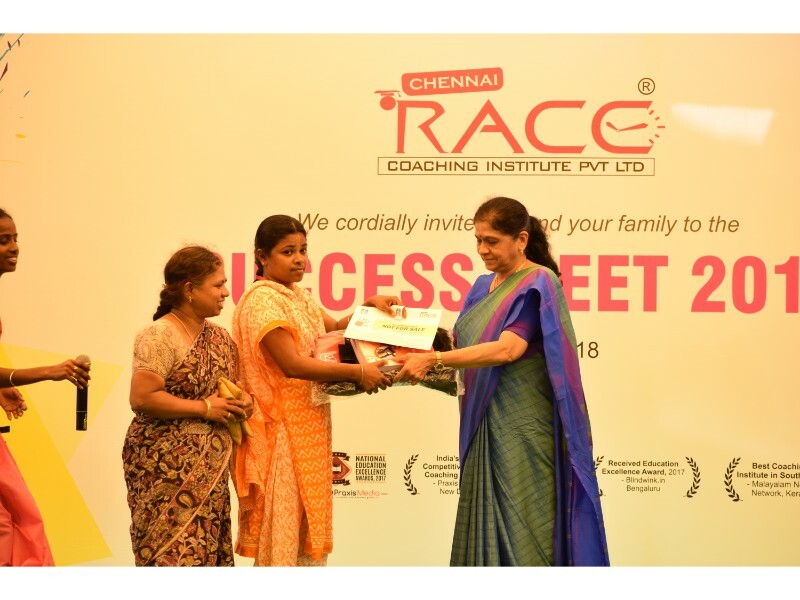 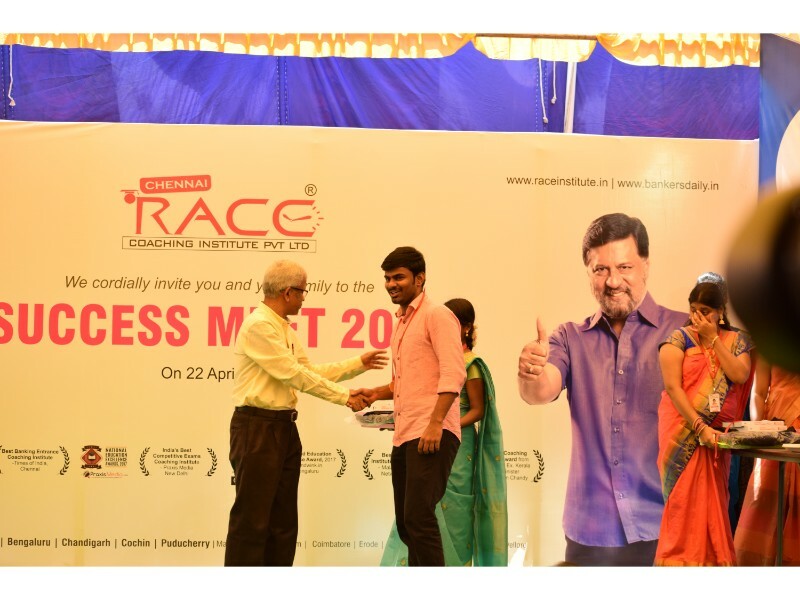 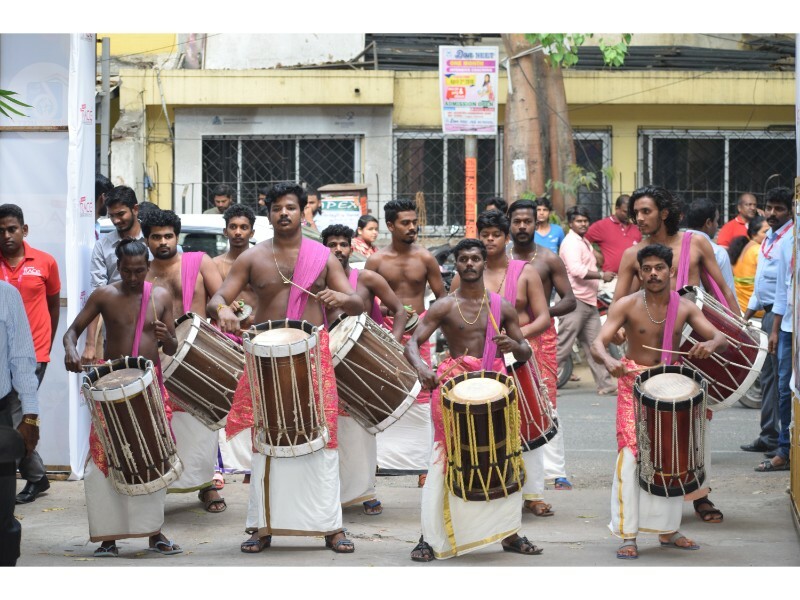 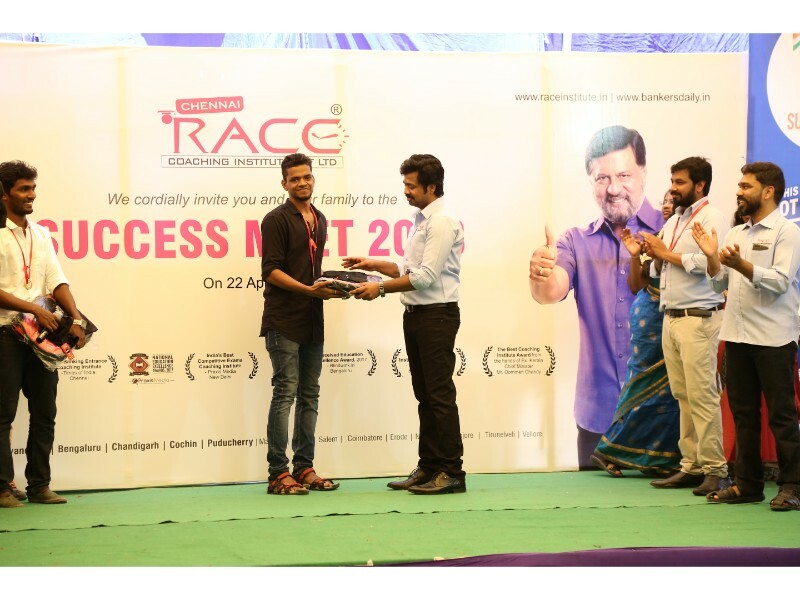 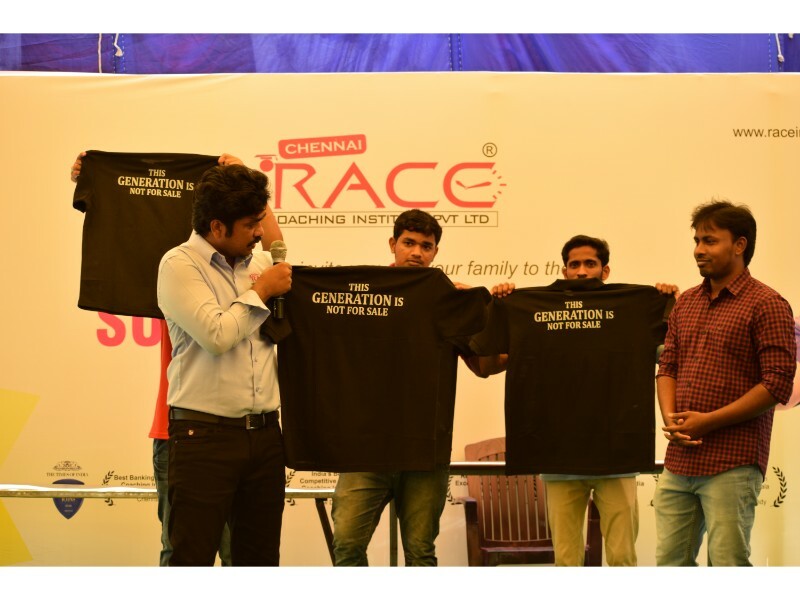 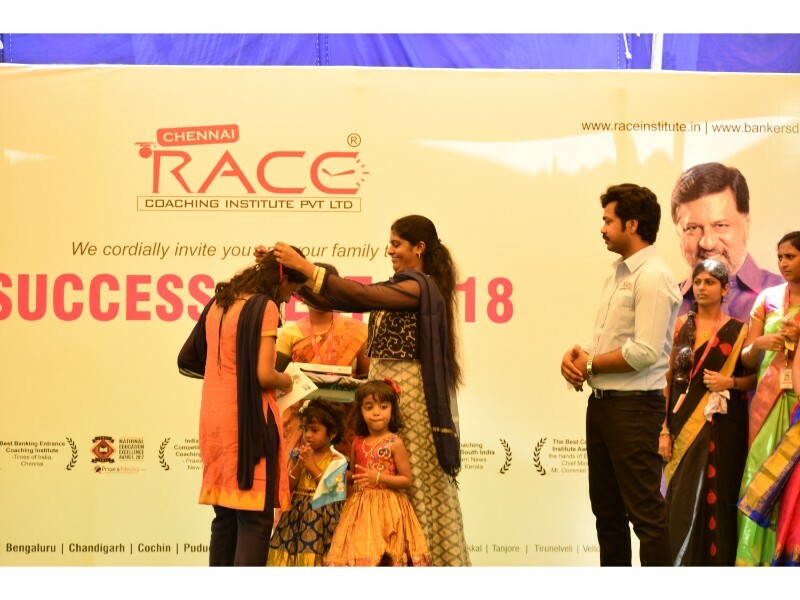 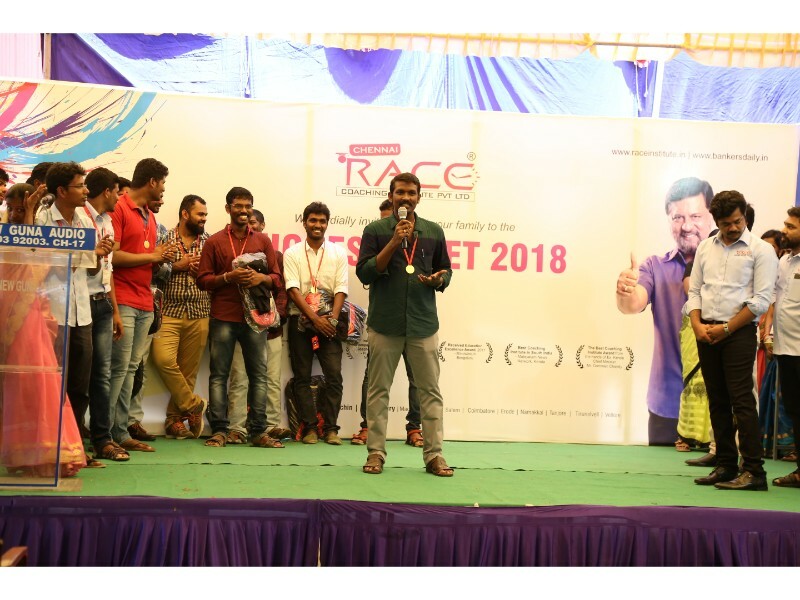 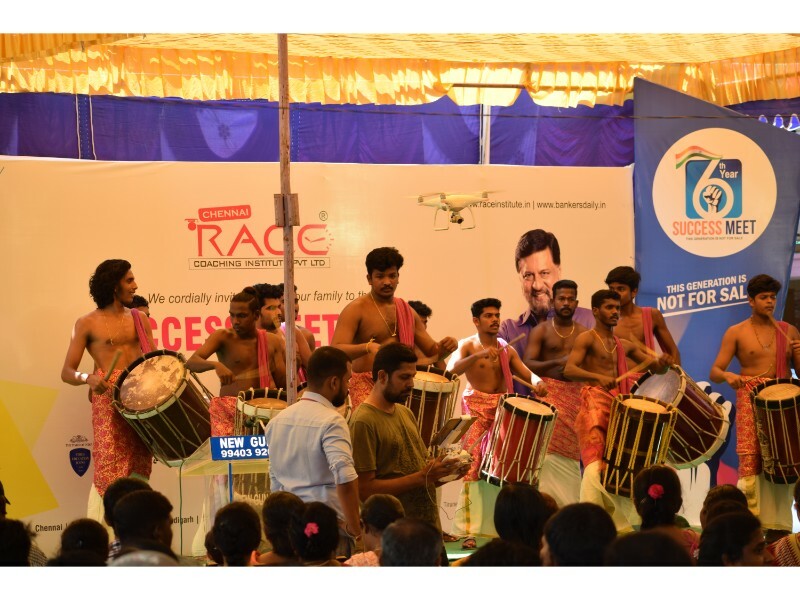 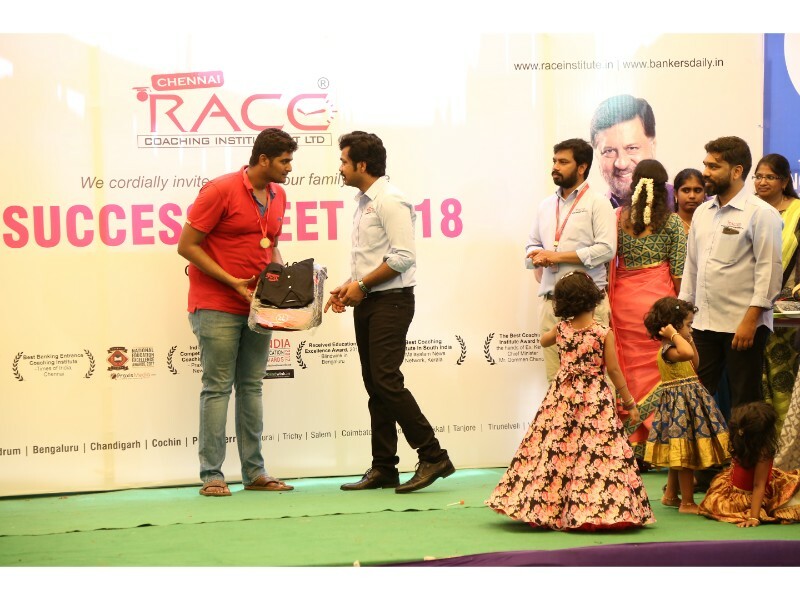 Chennai RACE Coaching Institute is a well-known Institution among the aspirants preparing for the Bank, SSC, Railway, Insurance and TNPSC / KPSC Recruitment Examinations. 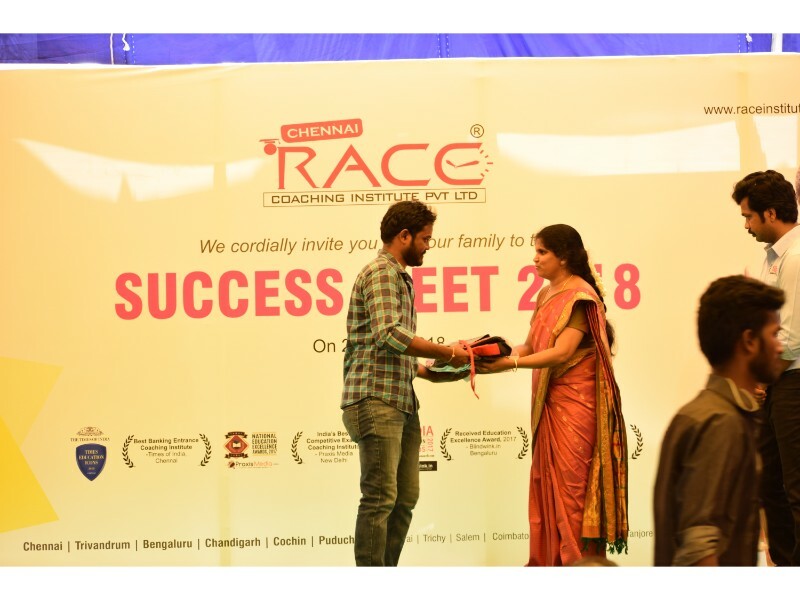 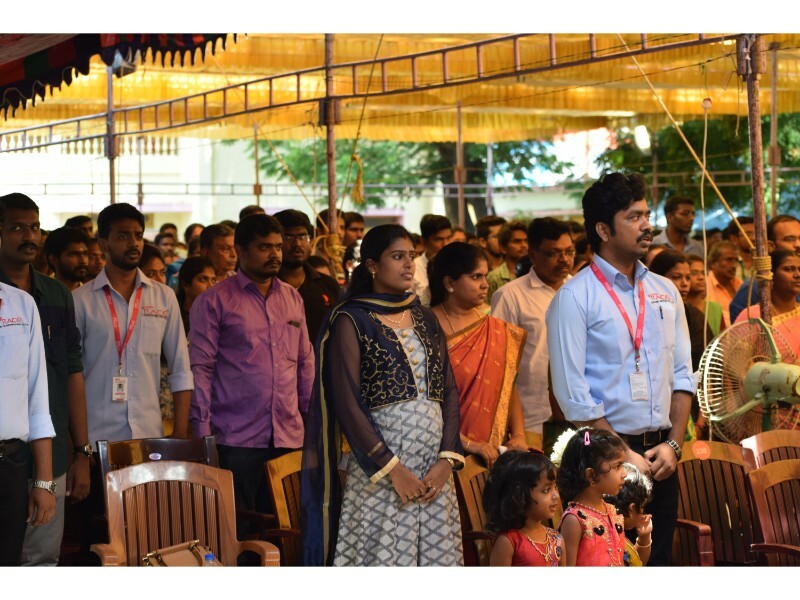 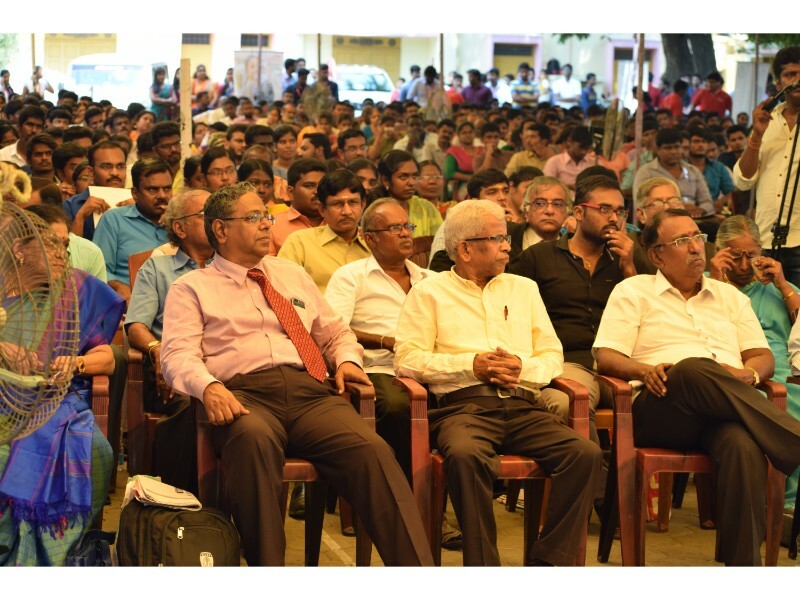 Every year in the month of April, we have been conducting “Success Meet” for the students who have cleared various competitive examinations. 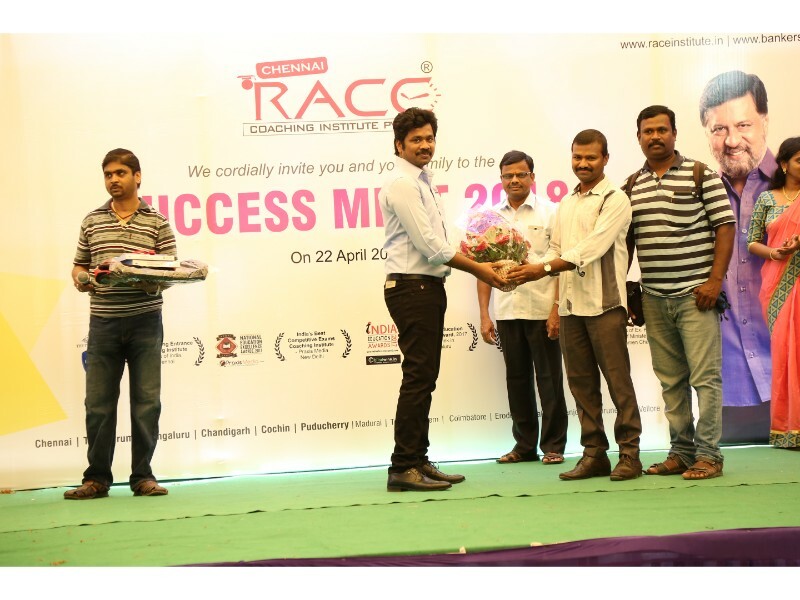 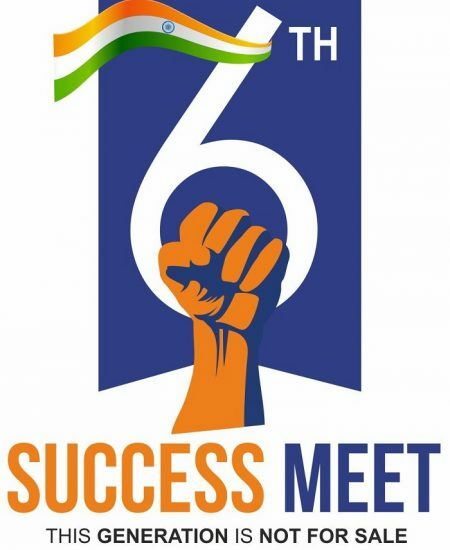 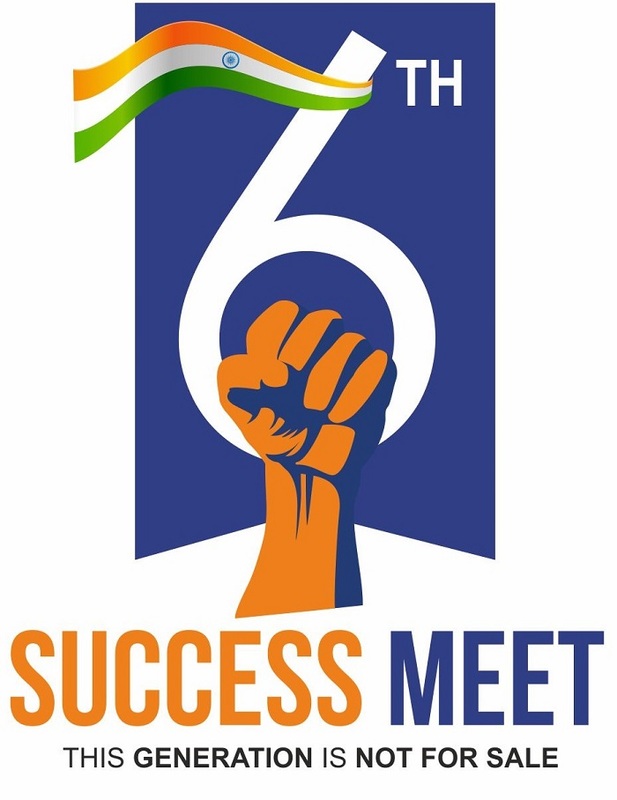 For the year 2017-18, we have scheduled “SUCCESS MEET” event on coming 22nd April 2018. 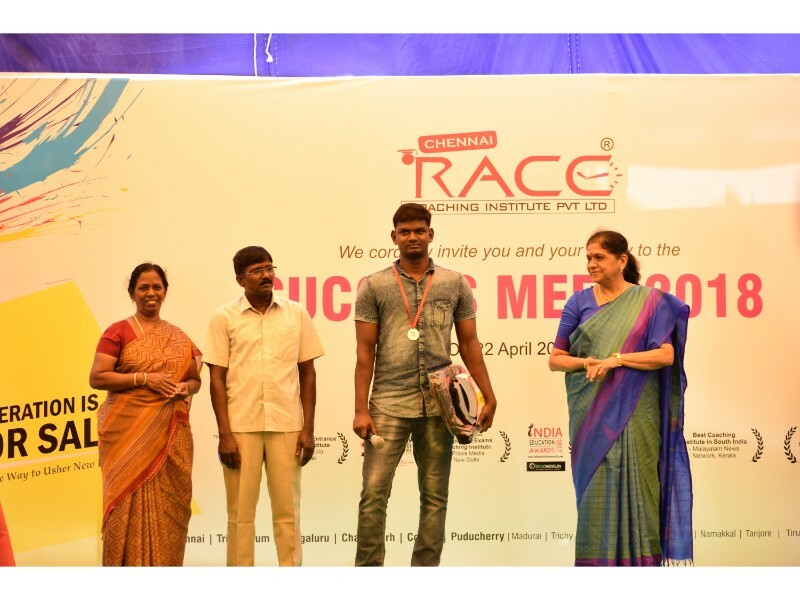 RACE is the leading coaching Institute with a dictum of making every aspirant a State / Central Govt Officer. 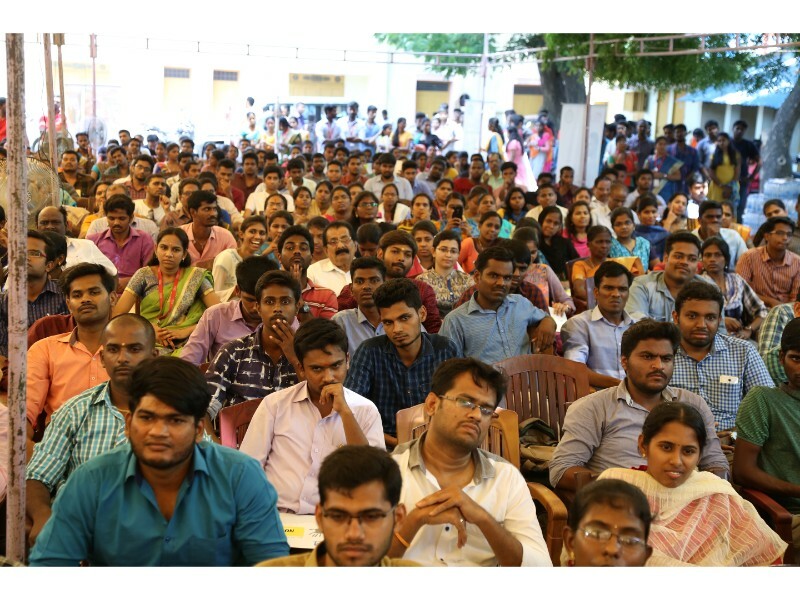 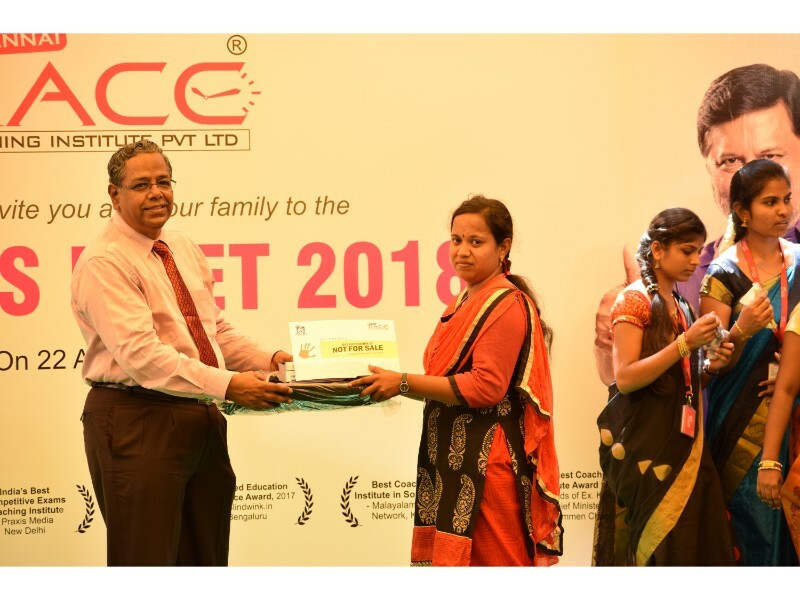 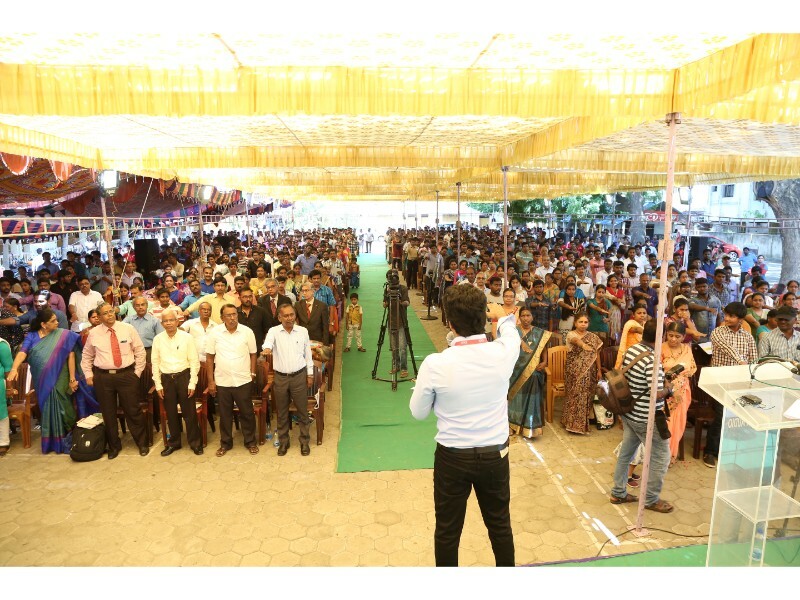 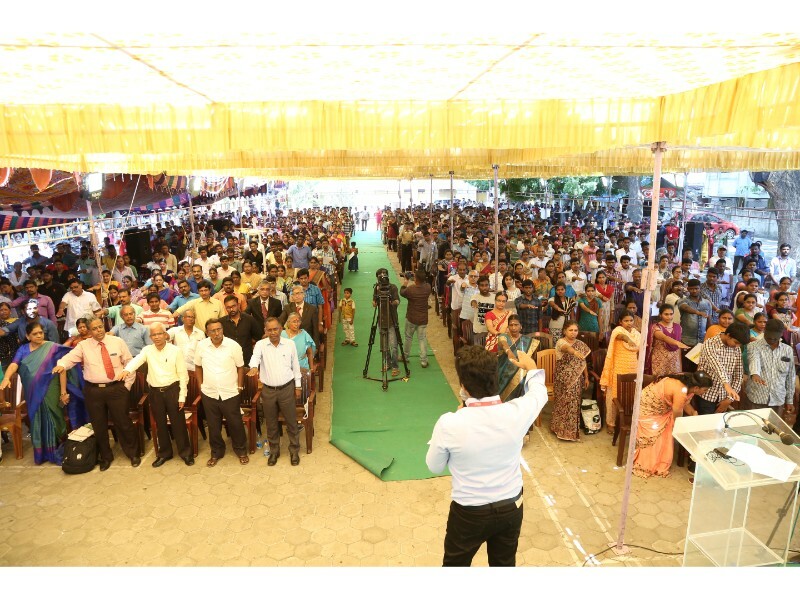 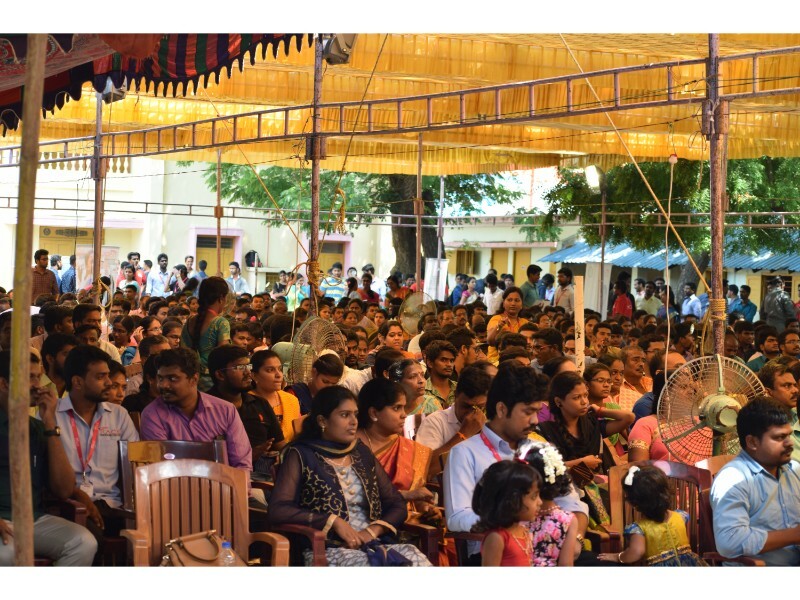 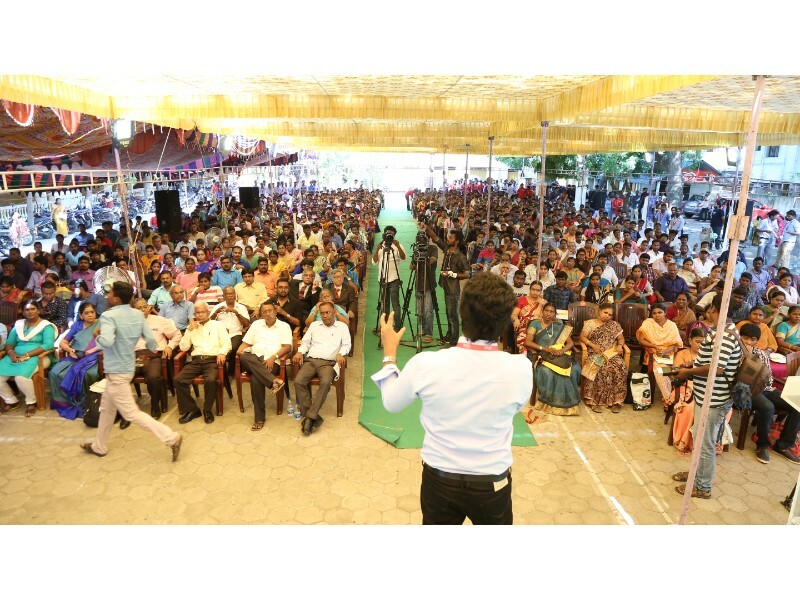 The facilities like “Computer Lab, Library, SOLO Practice Cabins, Practice Programs, Practice halls, Mentors, Materials, experienced Faculty members and Interview Panel Members, etc..” are the keys helped the aspirants to clear any competitive exams.